43 mins California is the second biggest consumer of oil in the U.S. after Texas. While everyone is talking about the failure of the Doha negotiations, Kuwait has more than made up for OPEC’s failure all on its own. Kuwait’s oil workers walked off the job this weekend, flexing their muscles over a pay dispute. The state-owned Kuwait Oil Company took to Twitter to report the damage done by the workers strike, announcing that oil production fell to 1.1 million barrels per day on Sunday, a catastrophic development considering it normally produces nearly 3 mb/d. Also, Kuwait Petroleum Corp., the state-owned refining company, said that its production of refined products dropped from 930,000 to 520,000 barrels per day on April 17. The colossal outage comes on the same weekend that the Doha negotiations fell apart after Saudi Arabia took a hard line on Iran’s participation. Speculation about a production freeze helped bid up oil prices by around 50 percent between February and April, and the failure by OPEC and Russia to reach an agreement has led to a major sell off in crude oil prices. The oil markets have been thrown into turmoil again, as Saudi Arabia returns to its strategy of fighting for market share. On the other hand, Kuwait’s oil workers handed oil bulls a potentially massive silver-lining when they walked off the job, cutting more supply from global markets in an instant than the Doha agreement ever promised to. Where Is The LNG Glut Going? 3 cheers for the Kuwaiti oil workers! Either way it doesn't matter. If we were producing 1Mbpd more than necessary. Then 600,000bpd of USA went offline but Iran is now doing 2Mbpd as they run down their floating storage. Now Kuwait is producing 400,000bpd less. That still gives us a surplus of 500,000bpd. The thing that has kept the prices up is more storage has come online quicker than expected. 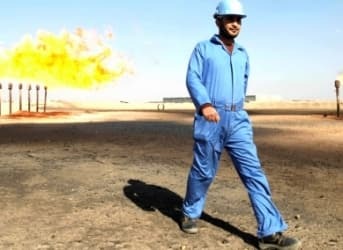 Oil is in trouble and more than 1/2 of all USA oil companies will go out of business this year if prices stay below $40. Natronic: Go out of business, or just reorganize under Chapter 11? Good question, GregSS! File BK, pay off debt for 10 cents on the dollar, reduce union benefits (if there are any) and carry on with a much smaller opex. All that debt that was leveraged by proven resources, in the ground or storage, just goes away! Yeah cheer them on, but get the goons when union workers in North America want a bigger share of the pie.